SOCALMOTOGEAR, GOLDWINGHIDS, PATHFINDERLED, PATHFINDERLEDS, SOCAL MOTO GEAR, SOCALMOTORGEAR, SoCalMotoGear.com - Professional Grade Motorcycle Lighting - Plug N Play Products - "Riding at night has never been brighter!" Can I place a phone order? Sorry, for security purposes we do not take phone orders. This would require our employees to manually process/capture your credit card information which would not be as secure as processing your payment through our secured encrypted website. Please be assured that we have layers of security in place when processing your order online. IMPORTANT: Please add our email (Service@SoCalMotoGear.com) to your contact list or be sure to check your spam email box as our reply to you may end up there due to the system settings on your computer. 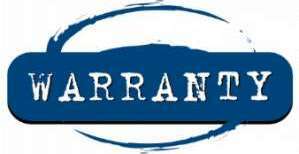 Warranty Information - Click Here. Note: If you would like to become a dealer, please visit our "Dealers" page to submit a Dealer application form located on the bottom of the page. Thank you for your interest! We will do our best to respond within 24 business hours.